Hi-Tech Hotels Vs. Heritage Hotels: Which works better to attract guests? There is a robot waiting at my hotel room door. Apparently her name is Aura. And she’s on a mission — to deliver the bottled water I requested from reception five minutes ago. The canister-shaped auto-butler lifts her lid to reveal her contents and even does a cute left-right jiggle when I key in a five-star rating on her screen for her quick, commendable dispatch service. The roving robot, akin to a pink R2-D2, is also known to roam the lobby of M Social, often mingling with guests or guiding them to the hotel’s breakfast spot. But Aura isn’t the only front-line bot in the building. She is joined by her “younger brother” Ausca (sounds like Oscar), who is stationed at M Social’s much-raved-about Beast & Butterflies. Beyond the new nitro cold brew offering, which comes flavoured and speckled with selfie-generated coffee art, the hotel restaurant offers the world’s first meal-making robot-chef, working at a hotel. The Front-Of-House Autonomous Service Chef Robot prototype, or Automated Service Chef Associate (thus AUSCA for short), cracks an egg, all by himself, and prepares sunny-side ups and omelettes with up to three condiments, in just under three minutes. And the verdict? Absolutely cracking. The homegrown hotel brand, which calls billionaire Kwek Leng Beng as its founder and owner, chose to look towards robotics to enhance the guest experience and address the labour crunch. “With more hotels opening, manpower shortage will continue to be a challenge in the hospitality industry,” says Lee Richards, Vice President of Operations for South East Asia at Millennium Hotels and Resorts, the conglomerate that owns the M Social brand, which recently clinched ‘Best Business Innovation’ at this year’s Singapore Tourism Award. So while all this drive for digital excellence is exciting, the case for heritage hotels and reliving the good ol’ days of a homely Singapore can be, ironically, a novelty too. Such is the idea behind the new Six Senses Singapore. The hotel chain’s induction into the city-centre sphere lands itself in two spunky Singapore neighbourhoods: Duxton Road and Maxwell Road. The first to open is Six Senses Duxton, a terrace of eight former shophouses owned by dot-com bigwig turned real estate developer Satinder Garcha. And while the traditional buildings were originally built in the early 1900s, distinctively local and Chinese Baroque in style, this row of low-slung colonial-era spaces is surrounded by skyscrapers and other more modern facades to reflect the city’s current booming business hub. This explains the localised wellness supplies one gets during turndown service at Six Senses Duxton — there’s nutmeg oil, Tiger Balm and heck, even Po Chai Pills. There are also walking tours to discover the culture-rich neighbourhood of Chinatown or getting educated about the important historical trees nearby. Traditional therapies are likewise available, such as TCM, which further connects guests to the surrounding culture and tradition of the street. Plus, the food at the hotel’s Yellow Pot oriental restaurant follows a strict social-eco-ethos, all in-line with the big idea of “sustaining heritage”. Another high-end hotel that follows this creed of legacy-leading conduct is The Warehouse Hotel. Though not as rigorous, and in a nice twist, its owner wanted to find a way to give something with so much history a future. 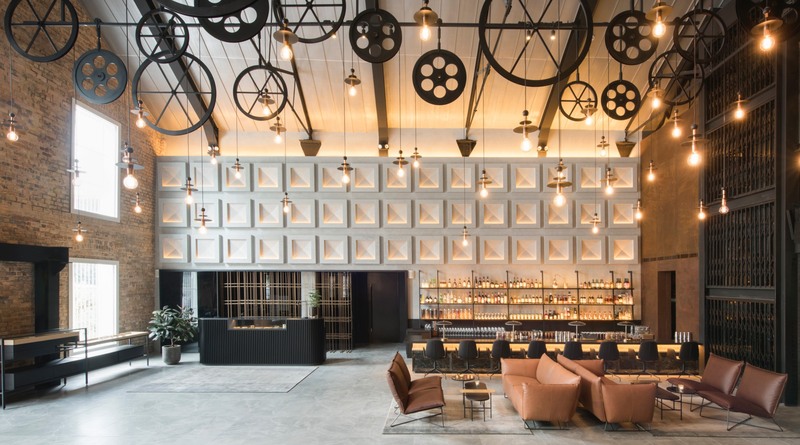 The brainchild of The Lo & Behold Group’s Wee Teng Wen, the hotel revives Singapore’s built heritage by breathing new life to three 120-year-old godowns, the local term for “warehouses”, located along Singapore River. While the current space truly reflects the timeless place — apt industrial design elements of pulley lights given the space’s spice trade background; offering guests a menu of “vices” in homage to the neighbourhood’s once dark and illicit past; the use of traditional Chinese character as the hotel’s secondary branding to reference the old name of the warehouse found on its facade — it doesn’t feel overdone. To keep things fresh, designers added a subtle layer of modern touches, including warm leathers and designer furniture, for added comfort in thinking of innkeeping, thus earning them the prestigious ‘Design Of The Year’ at the recent President’s Design Award 2018.